Feb 11 Want Your Organization to be a "Virtuoso"​ Performer? At the Purdue Agile Strategy Lab we are working with virtuoso cellist Yo-Yo Ma; and doing so is helping us better understand agility. 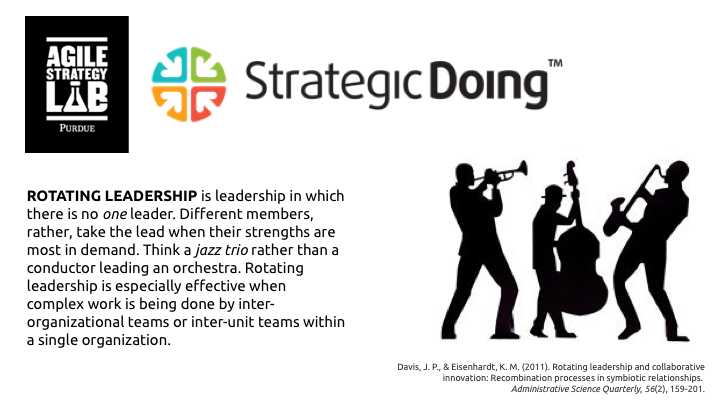 In fact, Yo-Yo has written the forward to our new book, Strategic Doing: Ten Skills for Agile Leadership (Wiley) available May 7, 2019. 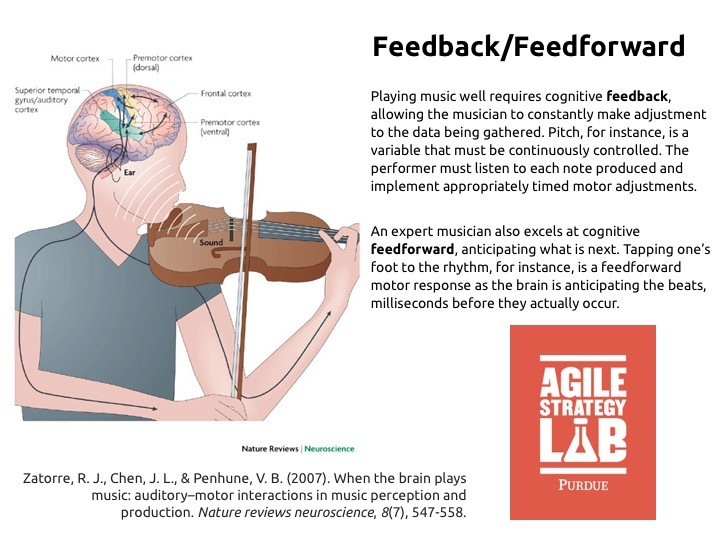 Part of what makes a great musician a...well...great musician, is their brain's ability to rapidly toggle back and forth between gathering data about what they just did a millisecond ago to inform what they will do a millisecond from now, making constant minor adjustments. Most of our brains can't do that very well. That's what makes people like Yo-Yo exceptional. Here's the application to our work at Purdue. Our organizations need that same toggling ability. We need to make strategic decisions informed by BOTH feedback thinking and feedforward thinking. Having one person, the CEO, the Chief Strategy Officer, the Mayor, the President of the United States, any one mind, making those strategic decisions is not a good idea, unless maybe you've got a Yo-Yo at the helm! Organizational agility requires the right team of people, thinking strategically and acting strategically together. 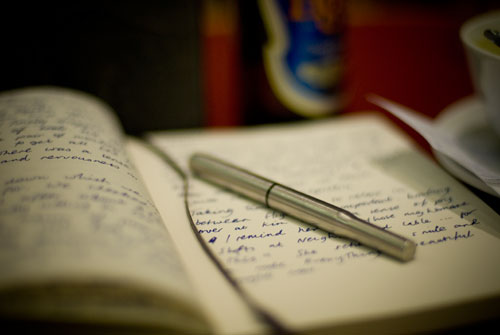 The good news is that there are ways to identify and visualize who your feedforward and feedback thinkers are. Our partners at Human Insight are helping us with what. And, our agile strategy discipline, Strategic Doing, provides a sort of operating system for thinking and acting together with the same skill and agility as a virtuoso like Yo-Yo. Imagine your organization, your community, or your entire regional economy as a virtuoso performer. What would that look like? We can help you with that. Connect with us to learn more.